If you’re skeptical about the connection between business strategy and storytelling, consider the challenges faced by advertising agencies and marketers. Ad agencies’ storytelling challenges are complex because they must consider how the stories of their individual team members dovetail with the story of the agency, how the agency’s story impacts the story of their clients, and how their clients’ stories affect the stories of their clients. That’s four interconnected stories, any of which can affect the outcomes of the others. The StorySailing™ model rests on two foundations: The first is that stories are about people. The second is a four-part model that views a story as a metaphorical ship that moves from the stormy seas of conflict to the safe port of transformation. The water must be deep enough to keep the ship from going aground—that’s authenticity. The powerful, invisible wind that pushes that ship is magic. The client—for purposes of this example, an adventure travel and tour company—hires our ad agency—in this case, an agency that specializes in travel and tourism—because they say they want to book more tours to exotic destinations. They provide a list of amenities and destinations, and lots of colorful photographs. They may hire us at first because the story that we “specialize in travel and tourism” inspires trust that we understand their industry and know how to make prospects aware of their offerings. These are valid, but mostly practical reasons. The most meaningful one is the client’s hope that our industry expertise will help us understand the challenges they face—that we’ll have a deeper personal connection based on shared experiences. Most agencies come up with a clever slogan, choose exciting photos, list the amenities, offer an enticing deal on the fare, and pray for wind to move the ship. But we’re storytellers; we work differently. We want to produce a meaningful outcome as well as a functional one. We won’t start with our customer, the tour company; we’ll start with their customer. What is the end-user looking for? (There are many “customers of customers” in this story, so we’ll call our client’s customers “end-users.”) They want a vacation that offers a deeper experience. They want to go off the beaten path and return with a changed perspective. They’re aware that they only have so much time to live; they want to “spend” that time accumulating rich experiences and memories. They’re also aware of their limitations. Instead of buying a backpack and a hiking stick and taking the next plane to Kilimanjaro, they want to join a small group of fellow travelers and go with a guide who will keep them safe and comfortable on their journey and get them home on-schedule. The end-user’s conflict is that if they don’t live a rich and adventurous life that connects them with the wonders of the natural world, they feel disconnected and insulated from a powerful and meaningful part of being alive. The transformation they seek is returning to their “normal lives” full of great memories and before long, full of excitement as they anticipate their next adventure. That conflict is authentic because sooner or later, everyone—even a happy professional—who faces a daily routine of work and traffic and clocks and calendars thinks, I know there’s more to life than this. Work-play balance is breakfast to these folks; they’ll spend lots of money and go way out of their way to get the playtime they crave. And this is where the tour company steps in. They may think their product is an exotic destination or a package of services. They may see their infrastructure and their team of trained guides who take visitors safely up and down the mountain or into the ocean to swim with whales or out to the savannah to photograph lions and elephants as mere business features, but to their customers, these tools and special people are pure magic. The end-user’s ship is ready to sail. The water is deep. The tour company’s provides the wind. Very few people on earth have the equipment and know-how to get them to the mountain, safely up and down it, and back home on-time. That is pure magic. It is the ad agency’s job to understand this. Most advertising fails because agencies fail to question whether their clients’ products are what they claim they are. Businesses get caught up in doing business; they think about profit and loss and risk and return and growth rate and competition—and they should—but it’s easy to undervalue the most important impact you have on your clients. Business transactions are by-products of successful relationships. Our client’s prospective end-users will only book a tour if they know, like, and trust our client. We can talk about our client’s prices, but if we do so at the expense of talking about their value, we will fail to broker the relationships between our clients and their clients that lead to successful adventures and profitable enterprises. That—not the production of ads and the buying of media—is our real product, our true magic. We present our clients as being relationship-worthy. 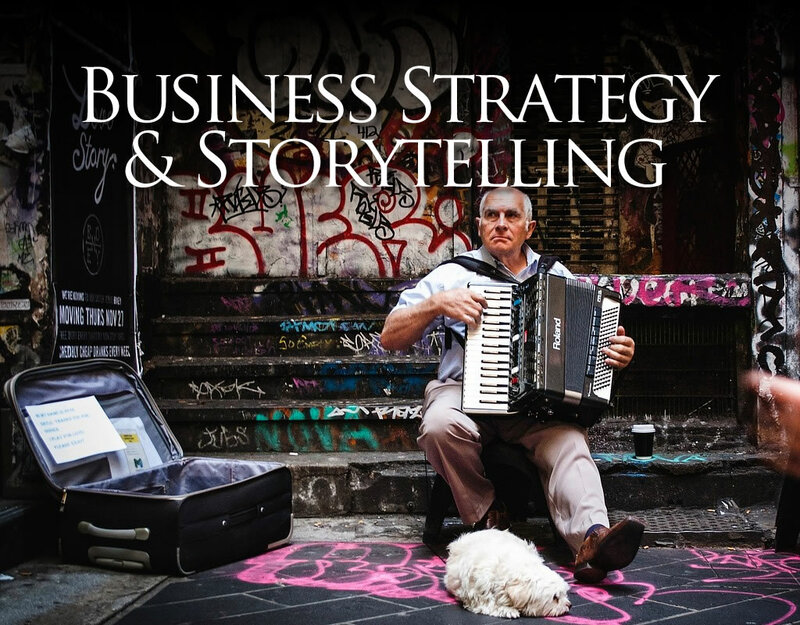 How do we mine this relationship between business strategy and storytelling? Stories are all about people. Stories about comfortable accommodations must be kept subordinate to stories about the successful transformation of visitors who share prospective end users’ values and expectations. When everyone’s camera is pointed at the elephants, we’ll make sure someone is photographing the guests. And on the last night of the adventure, when everyone is brimming with satisfaction and drinking in their final moments together before returning home, we’ll shoot videos of guests struggling to convey the enormity of the life-changing experience they’ve just shared. Clever and effective ad agencies are storytellers who teach their clients about storytelling so they can bring transformation to the stories of their end-users. Our tour company client may not realize that their conflict is that they’ve been overlooking their magic and in doing so, overlooking their true value. They’re so busy trying to sell excursions that they’ve forgotten to sell their passion for what they do and their unique ability to share it. If we can lay a little of our own storytelling magic on them, we will have catalyzed a powerful transformation that will reframe the way they see and talk about their business. The relationship between business strategy and storytelling is important. Whatever your business, your clients (and their clients) have stories to tell. Like you, they deal with conflicts and they seek transformation. 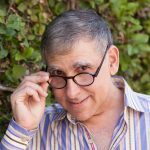 When you understand their authentic conflicts—the ones that have to do with people—the unique magic wind you send to blow them toward their safe port of transformation will emerge as your real, meaningful, valuable product.